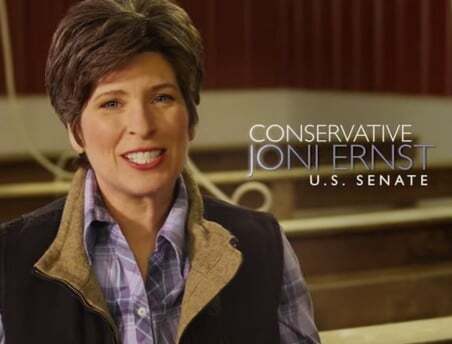 In her first ad Republican Joni Ernst talked about castrating hogs on an Iowa farm. This time she’s riding a Harley Davidson to the gun range. Joni Ernst, the Republican Senate candidate who received national acclaim for a campaign ad touting her background “castrating hogs on an Iowa farm,” rides her Harley Davidson to the gun range for some target practice in her latest spot. Ernst has a concealed carry permit in Iowa, and according to an Ernst campaign aide, the impressive accuracy wasn’t a television trick. Ernst took the shots herself that resulted in a tight spread on the target sheet, the aide said. It’s also her motorcycle in the ad, a Harley Davidson Softail Deluxe.